I have settled my itinerary for the waves conference this summer. The best time for me to play Arimaa would be the afternoon of Sunday, July 19. I fly out of Dallas on July 18, arrive in Frankfurt in the morning of July 19, take a train to Karlsruhe, and stay at the hotel ibis Karlsruhe Hauptbahnhof. Perhaps we could have an Arimaa gathering in the hotel lobby? The conference starts Monday morning and runs through Friday, and I leave Saturday morning, so a weekday evening would be the only other time I have. A weekend evening might work poorly for anyone with a typical job, so Sunday seems like the only option to me. Of course, this might not be a good time and place for others. I feel that meeting me is not a very exciting event, so I don't want anyone else to go to the time and expense to attend unless there would be several people in attendance. I don't want to be the only attraction. Deep_blue, since you are local, perhaps it would make sense for you to take the lead on figuring out whether or not a meeting would be feasible for multiple people, and if so, what some of the details should be. Are you willing to take this role? Thanks in advance. I'm seriously considering booking a few hostel nights and taking a train for the occasion. How many would come? When and where would the meetings be? 19 July unfortunately is not that good for me. I am playing theater (english?) on that day. Unless you want to visit Germany's biggest open-air theater (though I guess none of you understands German language) I can only come in the evening. Despite living near Karlsruhe I rarely am in the city so I don't know THAT much about it. But I'll inform myself, also I often saw that hotel Ibis because it's directly beside the railway. Fritzlein maybe you could come into chat somewhen? I would like to give you one hint at the beginning: Ibis in Karlsruhe isn´t that great. I warmely recommend you the Schlosshotel (very close, same place, for a bit but not much more money you will find better rooms, a much better breakfast/dinner and generally a much better atmosphere there). => I just found that Schlosshotel is the same price for your desired week in July. Concerning Sunday 19th, let me check and consider a plan for including Karlsruhe into that weekend. A weekday (probably Friday) may be possible as well but for that I should know whether a gathering is takeing place definitely. Anyway, I´am biased positively to hold a two man show if nobody else may join . Thanks for responding, guys. Harvestsnow, I don't know when I would be free other than Sunday from about noon at the earliest, maybe a bit later to be safe. The conference schedule has not been published, so I don't know when I will be speaking or when the proceedings end each day; I merely assume I will be free in the weekday evenings. Deep_blue, I am sorry the 19th doesn't work for you; I am afraid other days won't work for other people, but I am flexible. Odin73, I'm amazed by your enthusiasm! I will tell my colleague about your tip for the Schlosshotel, and maybe he will switch our reservation. It is good to get the inside review. Thanks! I should be at the Karlsruhe Hauptbahnhof at ~10:30 and probably leave the next day. I've also ordered a copy of Chess Reborn, so that if things get awkward I could at least ask for a dedication and hide behind someone else's shoulder. It looks like my train from Frankfurt will arrive at Karlsruhe Hauptbahnhof at 10:58 on Sunday, July 19. However, I didn't realize that I needed identification to ride, and that my identification would be my credit card, so I can't use my wife's credit card, so I will wait to book the ticket until we get a card in my name. Presumably the schedule won't change by then. I'm now officially scheduled to arrive by 11:00 Sunday, July 19. But it looks like there will be nobody there other than odin73. I feel bad for him coming a long way just to see me. Perhaps we should call off the meeting entirely? As I said, I can come, but only in the evening (7 pm or so). Also I thought harvestsnow meant he would come. Perhaps Fritz mistook my post for one of odin's. The error is understandable, I am an invisible rabbit after all. Now, it might be time to ping the Wanderer about it. 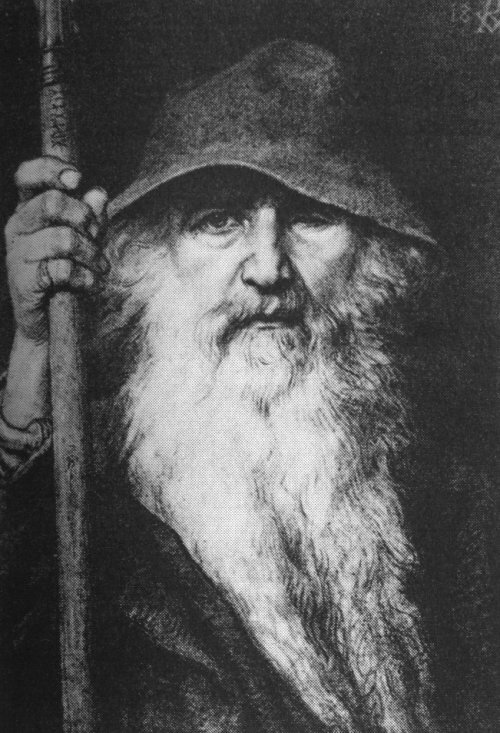 Sorry, harvestsnow; I did attribute your post to odin. So there should be at least three of us in the afternoon with a fourth in the evening? I wonder how I should contact the group if my flight is delayed. I rather expect that my cell phone will not work in Germany. But perhaps any big delay would originate before I have left the United States, which would mean I could post about it in this thread. And how will we find each other in the train station? I could wear a red baseball cap; that's all I can think of for now. Harvestsnow, thank you for the reminder. I have to think think about coming Sunday at all. 7pm is way too late for me since a have to return home in the evening (a long way by car, I should rather leave at 6pm). Fritz, do you have a feeling when you may arrive without rushing in your hotel? If there´s too little time overlay, I don´t see a good opportunity for my side to join the gang..